Jenn Murray's reps confirmed to SnitchSeeker that she is indeed cast in Fantastic Beasts and Where to Find Them. The story was originally reported by The Wrap on Thursday. The report states that the actress, who will be featured in the upcoming drama Brooklyn with Harry Potter alumni Domhnall Gleeson, Julie Walters and Jim Broadbent, will share scenes with Ezra Miller. This is however questionable as Miller already said he has no connection to the feature. More casting news! I'm getting excited. The EIC of Collider tweeted this and it looks like the cast is confirmed to start shooting next week, Monday. #fantasticBeasts tomorrow the adventure really begins! my mustache is ready! are you?! so blessed! with a hey and a hee it's an actor's life for me!!! weeeeee!!! This is it! I'm so excited. So this is what Jacob will look like. Many thanks to Dan for updating us on his IG. 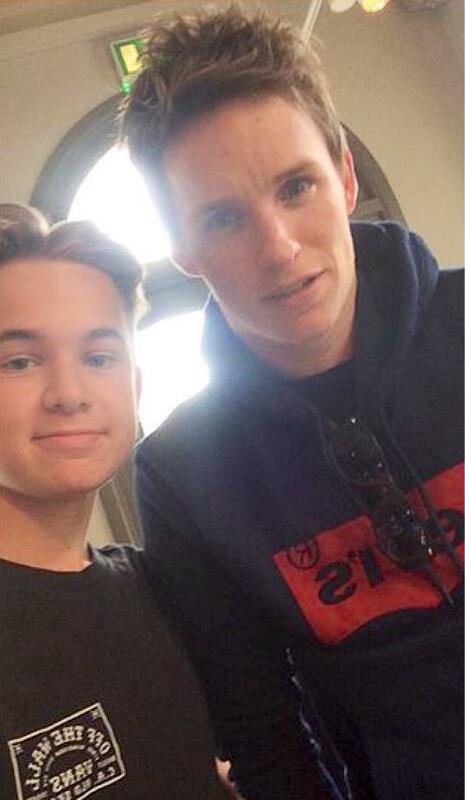 And a fan pic with Eddie in London. Colin spotted in London. Not sure if this will be Graves' hair though. Some more cast news as we await filming.